Instill beauty, charm and personality in the most important spaces in your life – whether it be your home or work environment – by furnishing your surroundings with high-quality items carefully designed to not only last a lifetime, but appeal to your aesthetic preferences and consideration for high-end craftsmanship. At Naurelle, we employ only the most talented Italian artisans and source the highest quality materials in order to bring your design vision to life. For this reason you will see a classic Italian influence in many of our lines, filled with the richness of a centuries-old tradition. 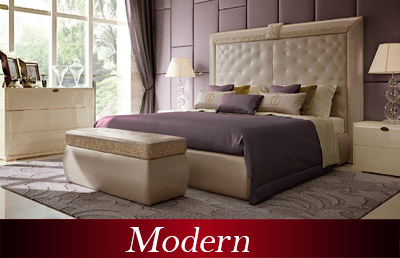 When we create our high-end furniture, we consider function and comfort to be equally important as beauty and aesthetic. With our clients in mind, we blend luxurious design with utility in order to bring you superb styles you can happily live with every day. Be it one of our traditional hand-carved dining room tables with antique gold-leaf details or our modern leather-topped office desks, our collections of luxurious home-furnishings can always be appreciated for their outstanding form and function. We invite you to visit our showroom to experience the finest of Italian hand-made home furnishings in the most elegant styles. The showroom is designed with the features of a home in mind, such as crown molding, a spiral staircase and staged rooms to inspire a vision of how you incorporate elements of beauty and art into your dwelling. We work with clients from all over the country and the world, and are always happy to schedule a complimentary design consultation in your home to select the perfect furnishings to enhance your existing architecture. 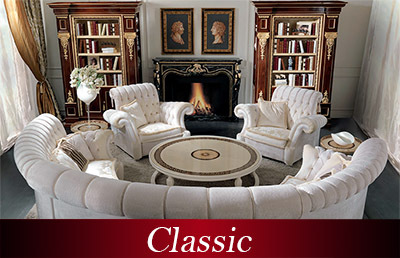 For more details on our collection of hand-crafted and high-end furniture, contact us today.